DRDO plans to carry out flight trials of a DGPS based Automatic Take Off and Landing (ATOL) System. Differential Global Positioning System (DGPS) is an enhancement to Global Positioning System that improves GPS location accuracy from the 15-meter nominal to an incredible 10 cm in a well implemented system! The DRDO developed ATOL system would use Gagan DGPS developed by ISRO and DGCA which is now operational countrywide. DRDO has equipped a Rutan Long Ez Manned Aircraft (YN7501) with Accord Technologies NexNav GPS-SBAS receiver and a GPS receiver with antenna for the trials which would be conducted at HAL Airport and Kolar Runway. The Rustom-1 MALE developed by DRDO is basically an unmanned version of the Rutan Long Ez, a home built aircraft with a canard layout designed by Burt Rutan's Rutan Aircraft Factory. 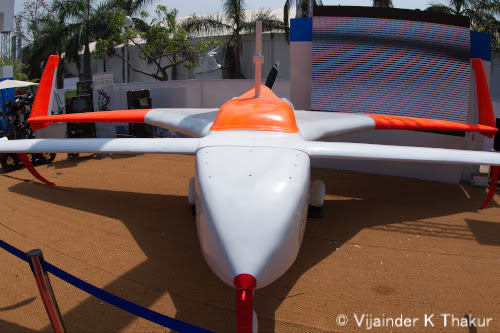 Rustom-1 MALE has roughly the same performance as the Israeli Searcher UAV which is widely used by the Indian Army (IA) and the Indian Air Force (IAF). The IA has told DRDO that it will place orders for Rustom-1 only if the UAV is equipped with an ATOL system, as take-off and landing using an external pilot are accident prone. DRDO's Aeronautical Development Establishment (ADE) has initiated procurement of the Cassidian MDR-NES (MLDRF) for fitment on the Rustom-1 to facilitate automated flare-out and landings. The GAGAN DGPS based system will facilitate taxying, take-off and alignment with the runway center line during approach. ADE has sought vendor assistance in conducting the flight trials spanning around 10 hours through a recently released RFI. The selected vendor will conduct and manage the manned flights so that ADE can focus on the ATOL system performance.